What is Telling of Tales? Telling of Tales will be back on the 25th of October with more short, audiobook goodness! In the meantime, please do send in your stories, as Telling of Tales couldn’t exist without them. Go to the Contribution page to see how you can send your own stories in to be read on the podcast. Will Ellwood also wrote one of the very first stories featured on Telling of Tales, namely Teaching People to Fly from way back in 2009. As a special exclusive to Telling of Tales fans, here’s the follow-up parallel story to Proper Preparation: The story of Dean, the street cat turned contract mouse killer. Please do send in your stories, as Telling of Tales couldn’t exist without them. Go to the Contribution page to see how you can send your own stories in to be read on the podcast. And we’re back to your stories! Please do send in your stories, as Telling of Tales couldn’t exist without them. Go to the Contribution page to see how you can send your own stories in to be read on the podcast. 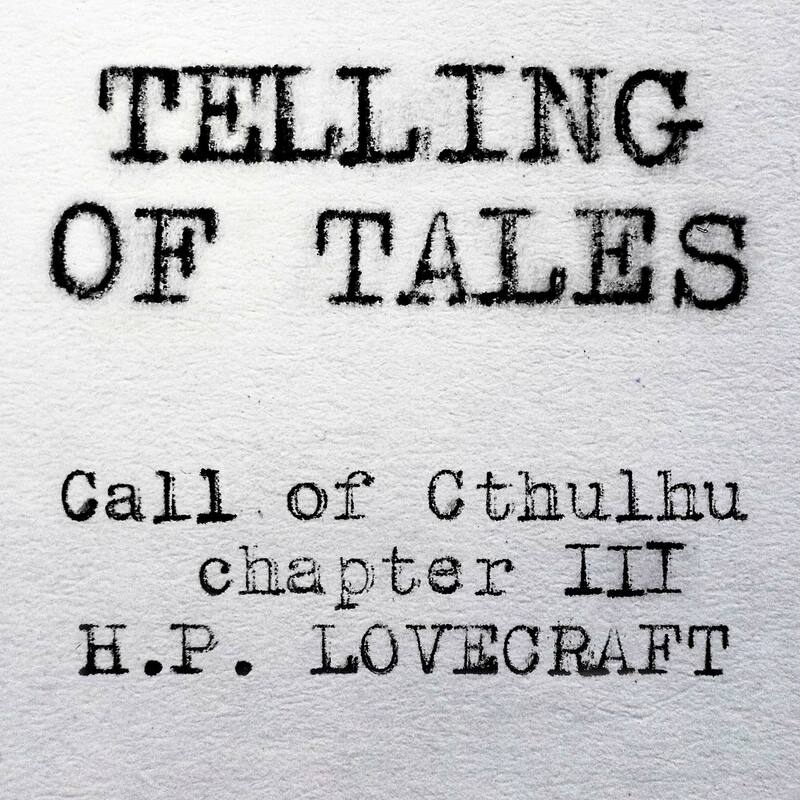 That is it for the Call of Cthulhu special edition run of Telling of Tales! Join us next week for more new short stories, fresh from the bowels of R’lyeh- I mean, the internet. Go to the Contribution page to see how you can send your own stories in to be read on the podcast or how to contribute with your voice. Enter your e-mail to follow Telling of Tales and get updates of new posts.